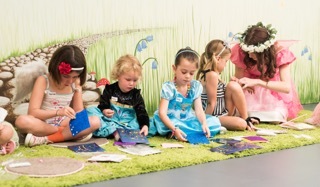 We host our very popular Enchanted Garden Parties every Saturday at our store in Myaree! Session times are - 10am, 12.30pm, 3.30pm.​ Every party runs for 1.5 hours. Please note our parties cater to a maximum of 15 children, including the birthday girl, and are designed for girls aged 3-8. 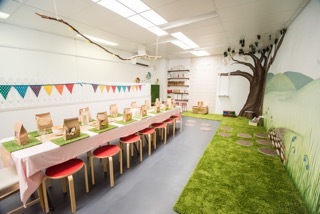 Due to space limitations in our party room, our parties operate under a Kiss N Go policy - our room cannot cater for party parents to stay, so please be aware of this when making your booking. We welcome you to visit our store or phone us on 08 6161 9123 to enquire about availability and to make a party booking. Mel thank you so much for yesterday, Tatum had so much fun and the other mums have emailed saying the girls won't stop talking about the party! I have been meaning to let you know that Ava had a wonderful birthday party last Saturday. The fairies (Chloe and Jordan) were excellent, and the party ran very smoothly and all the girls enjoyed themselves. Ava was actually upset when it was over as she didn’t want it to end! Just wanted to say a big big thank you to you, Chloe and Jordan for Sophie’s lovely Tinkerbell party today. 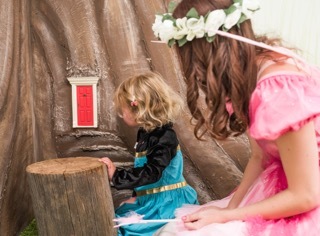 She and her friends had such a magical time in the enchanted fairy garden. The parents were full of praise for your venue and the program went so well! It was especially magical to see all the kids eyes tightly shut and making their wishes, blowing out the fairy dust and knocking on the fairy door hoping it would open! You have made one very special 5-year-old girl very happy today. Thank you all once again and we will be recommending you for sure! Oh Mel! The venue was so perfect! I was amazed by the quality of service. Chloe’s voice was mesmerising!! Both Chloe and Mia were so lovely and great with the kids. I would recommend your venue to anyone. Imogen had a perfect party and the very best 4th Birthday. Thank you all for everything. Just wanted to thank you and Jordan for making Amaya’s birthday party today so special. It was a gorgeous and fun filled morning and we owe it all to you guys. Such a fantastic morning and things ran so smoothly and looked great!! Amaya’s looking forward to coming back in to spend her voucher too! Arwen and her friends enjoyed her party a lot! Big thanks to Chloe and Jordan for doing a great job in entertaining the kids! The room is nice and well set up, too! I definitely won’t have any hesitations in recommending stork’s corner to all my friends. Just wanted to tell you that Chloe and Jordan are amazing party hosts. All the girls had a wonderful time. The mothers were commenting on the beautiful decor. Everything ran smoothly! Just wanted to say thank you for Macy’s birthday party today. They all had a wonderful time and the girls did a wonderful job entertaining them. 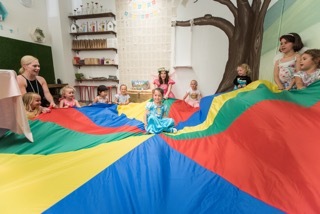 I will definitely be recommending my friends have a party at The Stork’s Corner! Mel, I have been meaning to contact you to let you know that Sophie’s party last month (9th May) was AMAZING! Chloe and Jordan were so great, and the kids had a ball. You really took the stress out of organising a party, and I know Sophie and her friends loved it. Can you please pass on my thanks and amazingness to your wonderful girls! I would just like to thank you and the lovely fairies for making Esteanne’ s party so special! She had such a lovely time with all her friends, I think she never imagined having such beautiful fairies at her party, the girls were fantastic. The feedback is positive and everything ran smoothly, def something to consider for the future. Esteanne and I will pay you a visit soon to spend her voucher, thank you for her cute present! Thank you so much for your lovely gift! Leticia loves drawing and will definitely enjoy her new sketchbook. She and her friends had a wonderful time at her party. Thank you for organising her party and Thank you to Chloe and Jordan. They were fantastic and so good with the girls. Wow what an amazing b’day party experience for our 7 year old today. She chose an Alice in Wonderland theme and I did self catering in the form of a high tea. The Hostess’s did a fabulous job of entertaining the kids and the party was fabulous! Thank you Mel for a well designed value add on top of your gorgeous store! We had our party there today! And have to say it was amazing, everything was set up perfect, the hosts were amazing with the kids. So would like to thank you for making our party amazing!